How to hide files, photos and apps for Android phones! Firstly, for the files, it is not easy to do it on default. There is a very good third-party app for this: File Hide Expert, and it is free. It looks like just a basic file management app, but it is quite powerful to do the task. After downloading from the Play Store, access the app, and choose the folder icon on the top right. Then you will see the list of files that can be hidden away. Just choose, the return to the first screen, and press “Hide All”. One important final step is to set a password. Tap the menu button and then Settings (from within the app), you you will see the password option at the top. Choose that, make a password, and you are all set. For photos, you can use the app KeepSafe. It is a handy app for photos hiding, and it is free, with option for Premium upgrade. Basically, it hides the photos you want from other people’s eyes, with PIN protection. The free version offers that and cloud storage. 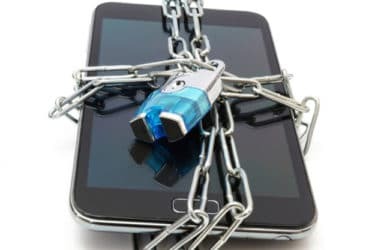 If you go Premium (for $4.99/month), you will also get extra protection like fake PINs that let users think they have access to your photos, and “Break-in Alerts”, where any attempt at breaking in will be logged, and secret door that disguises this as an utility app unless you long press it. The set-up is extremely easy, the guide is very intuitive the first time . Finally, for apps, it is more simple. Many Android versions allows users to hide apps by default, like Samsung. If by chance you can’t, install the Nova Launcher. It is an excellent free launcher, and can hide your apps with simple steps. After installing and running, go to Nova Settings > App & widget drawers > Hide apps. Choose the apps you want to hide, and then you are all set. No more annoying apps on your home screen. Make your Android phone usage more enjoyable! Hopefully, these tips to hide files, photos and apps can enhance your experience for your Android phones. Ultimately, keep in mind that, these are just basic protections. You are the best layer of protection for your personal data, so keep treating those with care.